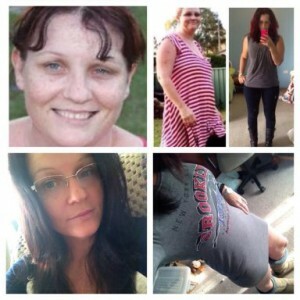 After the birth of my third baby I was overweight and very unhappy, when my son was 17 months old I was topping 212lbs (96.6kg) which was heavier than when I was pregnant at full term. I started out and did ok with just reducing my portions, but then I plateaued. I was focused on portion control and calorie counting but not on food quality. When I “went SANE” I cut out processed foods, I stopped eating wheat products (which were causing me many stomach issues with pain and bloating) and I cut out sugar in my morning cup of coffee. I replaced them with mounds of non-starchy vegetables, healthy proteins and fats, as well as berries and citrus fruits. My body shape changed so much! I stopped bloating and feeling “blergh!” Now, I rarely desire sweet foods anymore, which is huge as I have always had a sweet tooth! I can’t imagine eating any other way now, so thank you SANE for making it easy for me to get into the shape I never expected to be in my 40′s.